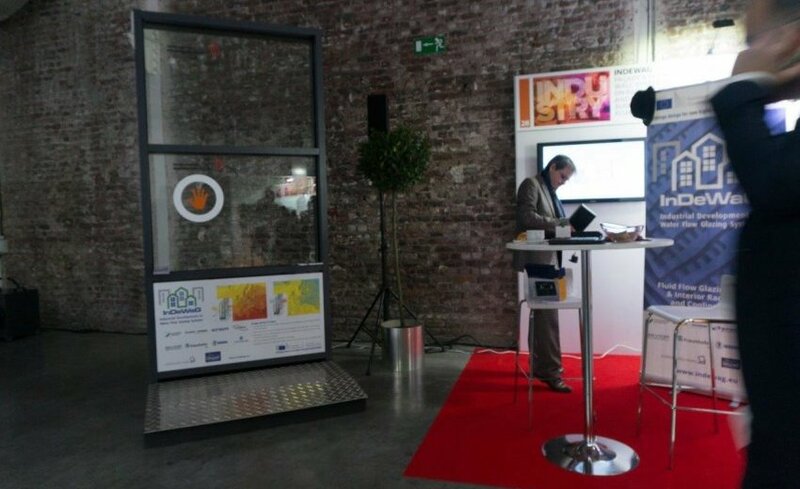 ETEM successfully presented the InDeWaG project at "European Days of Industry", organised by the European Commission in the capital of Europe - Brussels. The event, which took place on 5-6 February, was designed to demonstrate how EU industrial policy is beneficial for European citizens and to define future trends and working policies in different industries. At a specially organised exhibition, part of the "European Days of Industry", were shown the most interesting and innovative projects funded under the programs of the European Commission. The project for innovation in façade solutions was presented at a key point - InDeWaG, where ETEM team has a leading role. The event "European Days of Industry" was opened with speeches by European Commission President Jean-Claude Juncker and World Bank Chief Executive Officer Kristalina Georgieva. The format continued with high-level conferences covering the leading themes of sustainability, globalisation, digitalisation and innovation. ETEM participates in the InDeWaG Consortium (Industrial Water Development), where a number of universities and research institutes from countries such as Germany, Spain and Bulgaria joined forces with the industrial partners of these countries, to develop a new façade system for zero-energy buildings (nZEB). The idea of the InDeWaG project is to reduce significantly maintenance costs by the end of 2020, as such types of buildings will prove to be absolutely necessary. InDeWaG is an innovative development in the field of façade design and aims at creating a glass-packet with circulating water flow embedded in systems for elemental façade and partition walls. "Water glass-packet" will be used for façade systems and internal partition walls, thus reducing the cost of heating, ventilation and air-conditioning. In the 21st century, humanity faces the challenge of global climate change that requires sustainable construction and an entirely new look of the urban environment. Today there is an increasing need for solutions to be applied in future projects and construction of buildings providing not only a higher quality of life for the inhabitants, but also harmony with the environment. In this context, façades are the privileged building components that can offer solutions. Such high-tech solution is InDeWaG. The InDeWaG project impressed visitors to the event, which gathered more than 1,800 participants - representatives of various industry branches, national and regional authorities, trade unions.